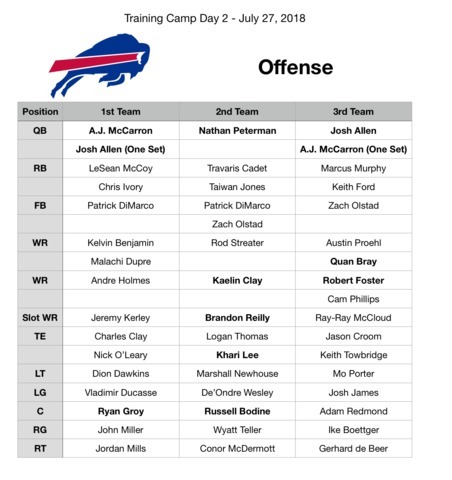 On the second day of training camp for the Buffalo Bills, we saw a little movement throughout the depth chart -- including the re-introduction to the quarterback rotation. So that it's easier on the eyes, here it is in image form. Note: Changes from the previous day are in bold, for some context into the changes, read Day 2's observations!